When somebody would throw this out. 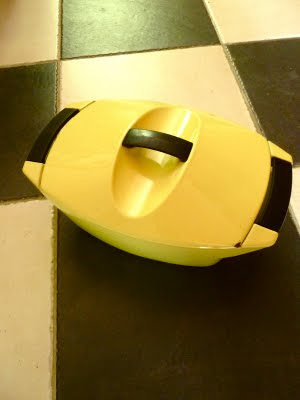 Sue found this stunning yellow casserole pot at the TIP!!!!! !and thought we would give it a good home. We certainly shall. It is now happily installed next to our other cook pot, also yellow but round, bought at Esperaza vide grenier, happy as a couple of sunny canaries.